We specialise in conservatories and will work with you to ensure that you get a spacious, light-filled and stunning extension for your home. A conservatory makes a stylish and luxurious addition to your home, whilst ensuring that you’re protected from the elements. 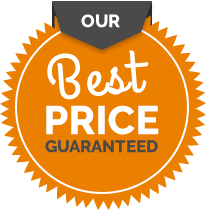 An attractive conservatory will add value to your home, as well as offering you an enhanced way of living. 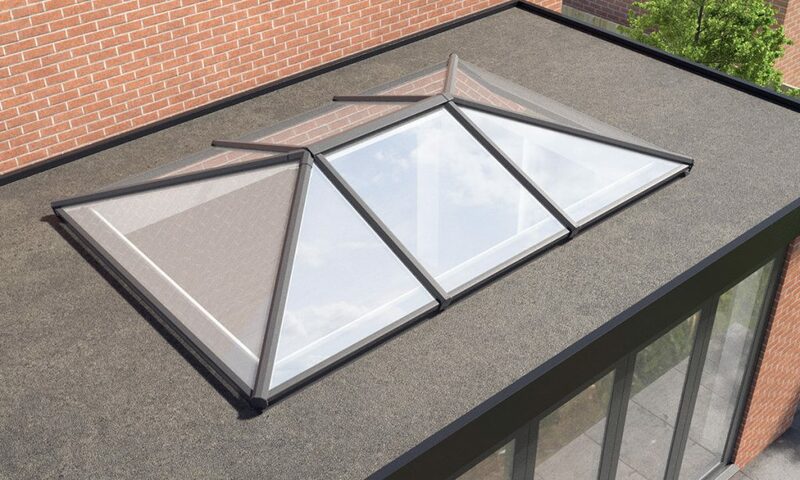 With a wide range of roof options and PVC-u or aluminium frames, you have complete control. Thermally efficient and weatherproof, our conservatories will provide a stunning space to enjoy comfortably, all year round. We can provide CAD design drawings to help you visualise how your conservatory will look. When it comes to colour, you’ll be spoilt for choice. From classic white to woodgrain effects, you can create any look you want. For those who really want their conservatory to stand out, we can match any RAL colour. With many designs available, you can choose from a traditional or contemporary style, whichever matches your home, or a combination that provides the benefits of modern design with a traditional look. The possibilities with a conservatory are endless; from relaxing in the sun to entertaining guests. 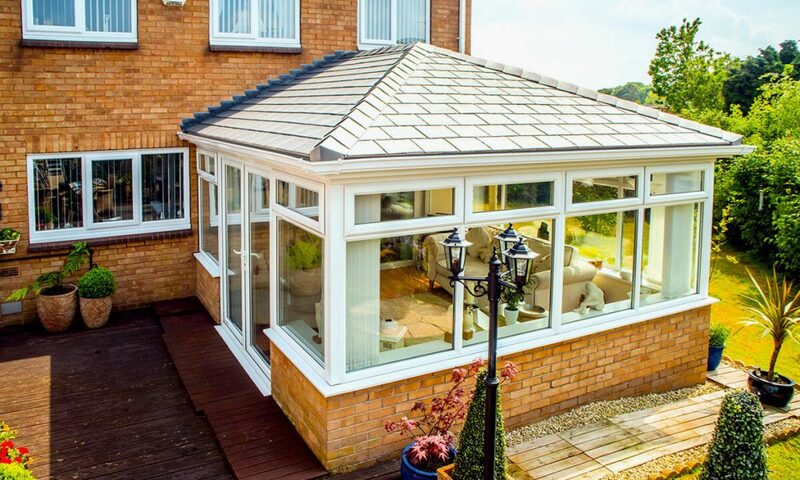 Depending on what sort of home you have and what you want to use your conservatory for will impact on the style you choose. Rectangular shape with a flat front. Contemporary style that's compatible with many kinds of homes. Extensive customisation options such as a woodgrain effect to match older homes. Weathertight frames and crystal-clear glass. A roof that stays upright as opposed to sloping. Adds a feeling of height that makes your conservatory feel larger. Lets in an abundance of light. An imposing style that looks stunning on a traditional property. Energy efficient glass and frames. Popular design with a pitched roof and decorative roof ridge. Option of three or five facets with a rounded shape and bay front. A style that lets you enjoy wide-ranging panoramas of your surroundings. Blends in with both modern and traditional properties. Adds heritage charm without old-fashioned performance. A Lean To is classic sunroom, with a simple and understated style. Affordable and easy way to enjoy the sun and admire views. A roof that leans against your property, perfect for modest homes and bungalows. 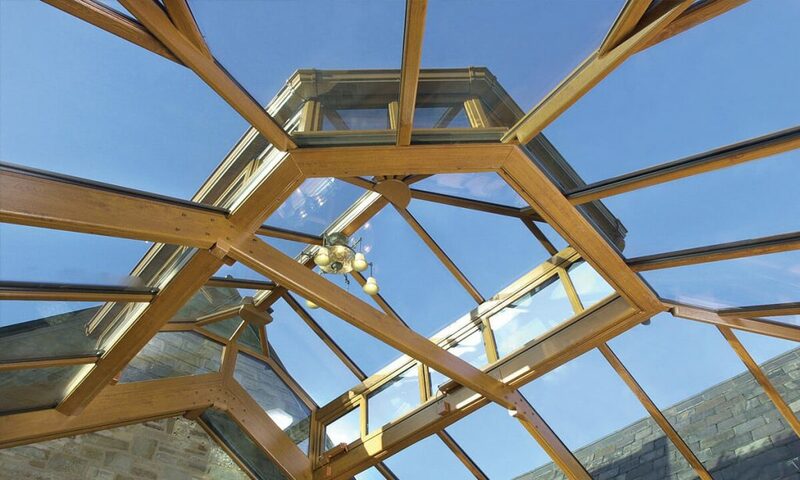 Efficient glazing and frames that keep it at a comfortable temperature all year round. Stand out from the rest with your own unique conservatory design. Make it the shape you want it to be, P-Shaped or T-Shaped are just a couple of the possibilities. Gives you the flexibility to have a conservatory with multiple sections. Able to maximise space and fit around corners.